Peter Dyck, M.D., has made significant contributions to the field of peripheral nerve disease over the course of his 50-plus years at Mayo Clinic. And at 90, he sees no reason to stop now. Peter Dyck, M.D., bounced along in the small plane, heading to a family reunion of sorts. Though he wouldn't be related to anyone there, he was spearheading the event. For Dr. Dyck, a neurologist at Mayo Clinic, the goal of the gathering wasn't a family photo, but a different type of picture. In the space between conversations, he and his colleagues would take blood samples and medical histories, and conduct tests on the assembled members of the family in question. The upshot, Dr. Dyck hoped, would be discovery of the genetic cause for the nerve disorder affecting many of them. It's all in a day's — or lifetime's — work for Dr. Dyck. The trip was just one of many innovative "kinship studies" he's spearheaded over his long career at Mayo Clinic. And the pictures Dr. Dyck has created from those studies, together with more traditional research, have yielded significant results. Among them: identifying and developing treatments for a number of peripheral neuropathies, including chronic inflammatory demyelinating polyneuropathy, a condition similar to Guillain-Barre syndrome. He's also contributed to literature on Charcot-Marie-Tooth disease and diabetic neuropathy. "It has been gratifying work," Dr. Dyck tells us. So gratifying, in fact, that his work is still going strong more than 56 years after he first joined Mayo Clinic. 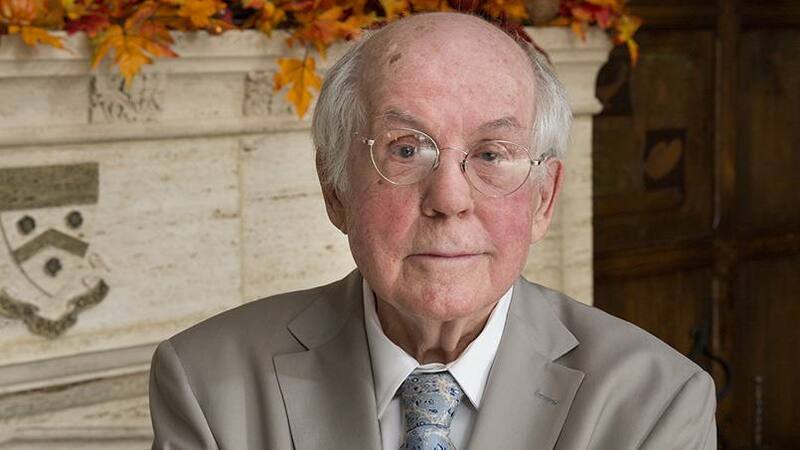 Now 90, Dr. Dyck actively serves as the director of Mayo's Peripheral Nerve Research Laboratory and is the principal investigator for two drug studies. He's still curious, still has questions he'd like to help answer. And he still savors the "joys and difficulties" of research. As well as the "excellent companions" he's found in the colleagues who have joined him along the way. "You don't do things alone," he says. "Anything that I've done, we've done." William Litchy, M.D., is one of those esteemed companions, often traveling alongside Dr. Dyck for those kinship studies. He first met Dr. Dyck as a resident and was immediately drawn to his mentor's questioning nature. "He always spoke in questions," Dr. Litchy says. "He'd ask, 'Why is this happening to the patient?'" That inquisitiveness has fueled Dr. Dyck's research. "He's an outstanding investigator and has contributed immensely to the field," Dr. Litchy tells us. "He brought a quantitative approach to studying peripheral nerve disease." That approach can be traced back in part to the time Dr. Dyck spent heading up a research group on Lac La Ronge in Saskatchewan, Canada. He and his survey team established x and y coordinates on the large lake, and used information they gathered from those points to study water quality and fish populations. "After I went into peripheral nerve research, I began to use some of the techniques I used at Lac La Ronge," he tells us. And while he looks back fondly on that time, he has no plans to embrace fishing or any other retirement hobbies. At an age long past when most people have stopped working, Dr. Dyck tells us that retirement is not on his horizon. He credits his longevity to "good health, good family, a good institution and the joy of having something to do." It's a recipe that's served him well for his first 90 years. Why change it now? You can improve our reputation by leaving your comments below. Then, you can use the handy social media tools atop this page to share this story with other. Explore the resources of the Mayo Clinic. Learn more about peripheral nerve disorders.